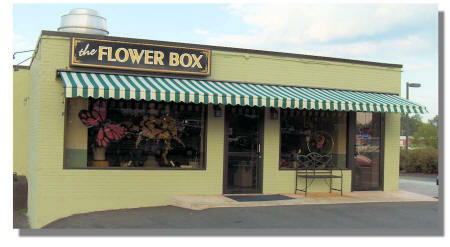 We know you're busy and we know you want no worries when you need custom awnings and window treatments for your business. We are happy to come to your site, survey the issue and set up exactly the solution for your business. We have the experience in installing what is required safely and securely. And all of our materials are designed to last so that the installation you buy today will be there tomorrow. 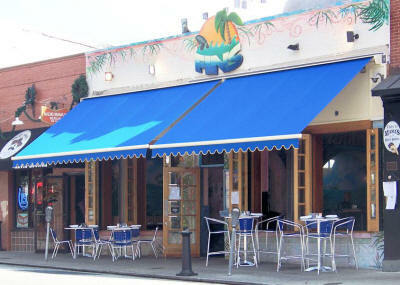 Ask us how we can customize your business awnings or shades with your logo and help you make your business more visible, beautiful and comfortable for your clients and staff. 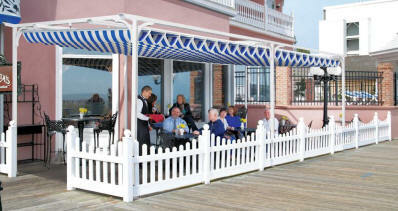 Pergola with Canopy Protects Clients from the Sun! 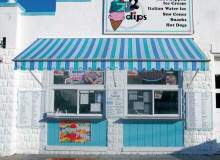 Country Club with a series of Retractable Awning for the comfort of thier members. 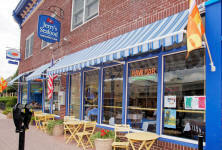 You can see our business awnings all over Connecticut including: Hartford County, New Haven County, Litchfield County, Fairfield County.